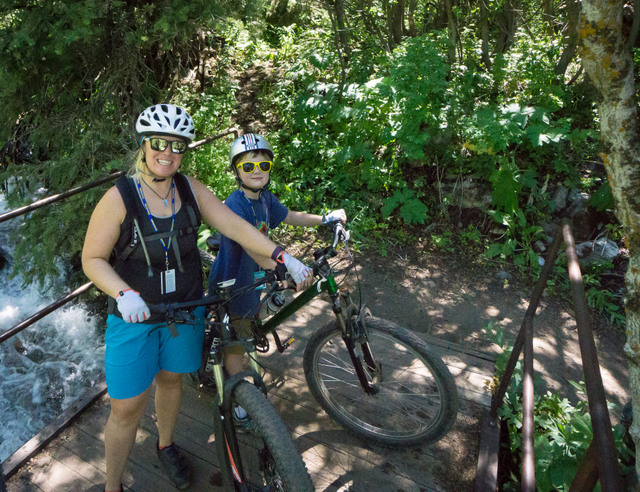 Biking is a keystone experience for every American child, especially in the summer. I remember days upon days racing around my neighborhood. I remember escaping the heat and riding through sprinklers. As I got older, my parents began to introduce me to mountain biking, taking my fledgling pavement riding skills to the trails. Some days it was magical, and MANY days it was a struggle at best. As a parent of three kids ages 7-11 years, I find myself in that same place, wanting them to experience the joy of flying through the forest on two wheels. But mountain biking can be a big leap for kids when it comes to stamina and skill. 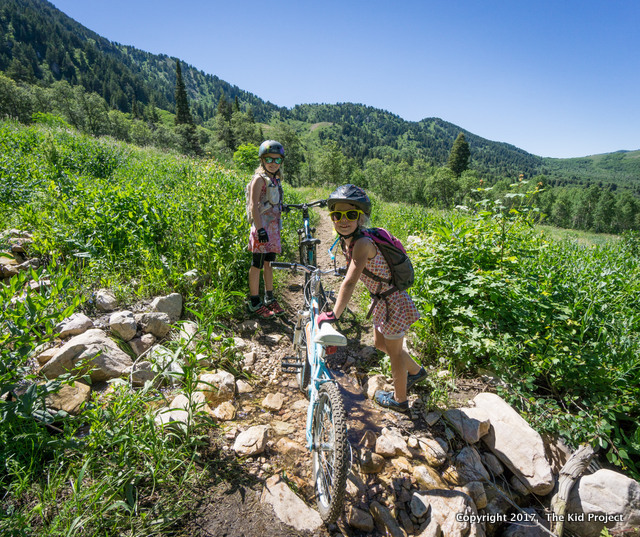 Luckily, Snowbasin Resort makes is super easy for us parents to introduce our kids to mountain biking. Mountain biking requires some specific gear to keep the fun factor high and everyone safe. Below are the basic gear requirements. 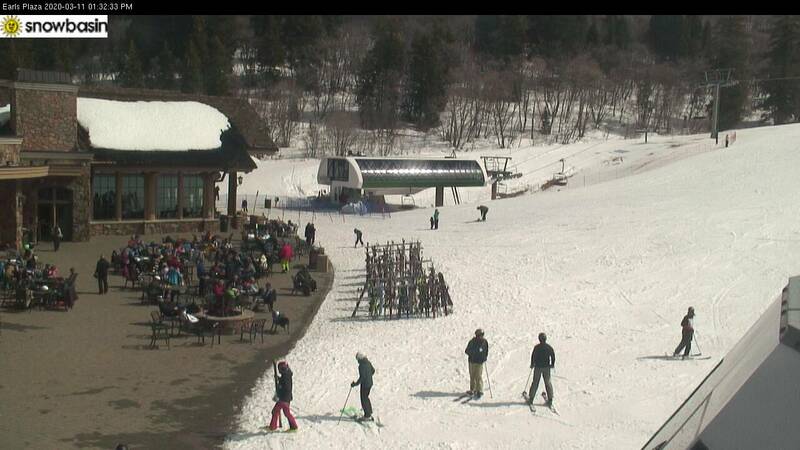 You can rent mountain bikes from the Rental Shop in the Grizzly Center right at the base for a day of fun. Mountain Biking requires more skills then needed to ride around on paved surfaces. At the same time, I don’t want you to leave this article thinking your child needs to be an expert before you introduce them to the trails. My kids all started biking trails in the 2-3 age range on their Strider Bikes. Obviously the trails were super simple. Ability to start from a stop on varied surfaces and even on a slight uphill. This is a skill that can be easily practiced in your yard. Decent balance. Rocks, roots, and narrow trails make this more important. Ability to brake and come to a stop quickly. Often as parents we focus too much on the ability for our kids to get on and go, but what is even more important is their ability to STOP. 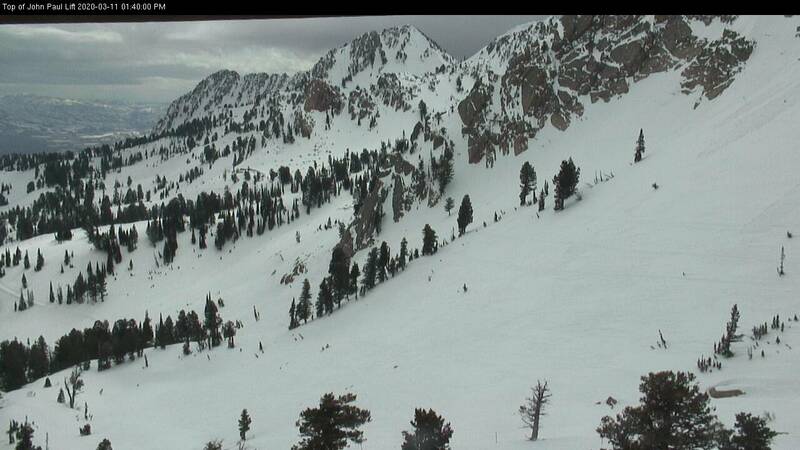 This is where Snowbasin resort comes to play. They have excellent train that is super family friendly! As parent, remember to start on trails that aren’t only simple, with few obstacles, but are also relatively flat. I’ve yet to meet a kid that enjoys climbing hills. For young riders, beginners, or even those just wanting to practice their skills, the learning area on the lawn adjacent to the Grizzly Center is perfect. Practice those skills highlighted above! 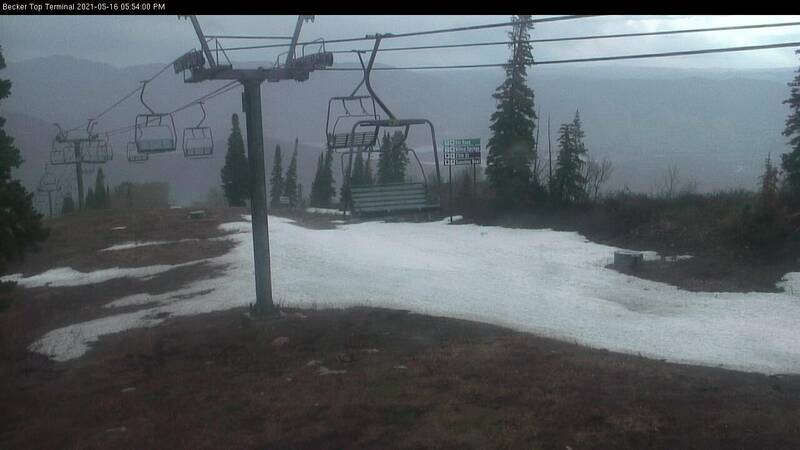 From there move on to the Inner and Outer Moose Loops located in the forest near the lower parking lot. Obstacles are minimal but your family will get to practice riding small berms, over little roots, around rocks and even 1-2 switchback turns. 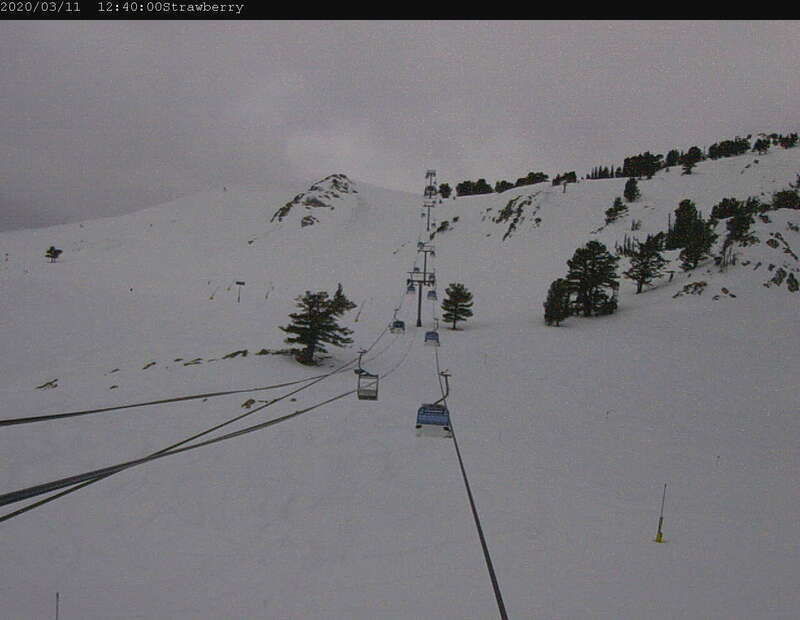 Should things turn sour, the loop is roughly ½ a mile and walking back to the base is manageable. If your family conquers the Moose Loops quickly, move on to the Maples Trail, beginning near the base of the John Paul lift. This trail winds under the shade of the maple trees, over a creek, and ends at the lower parking lot. 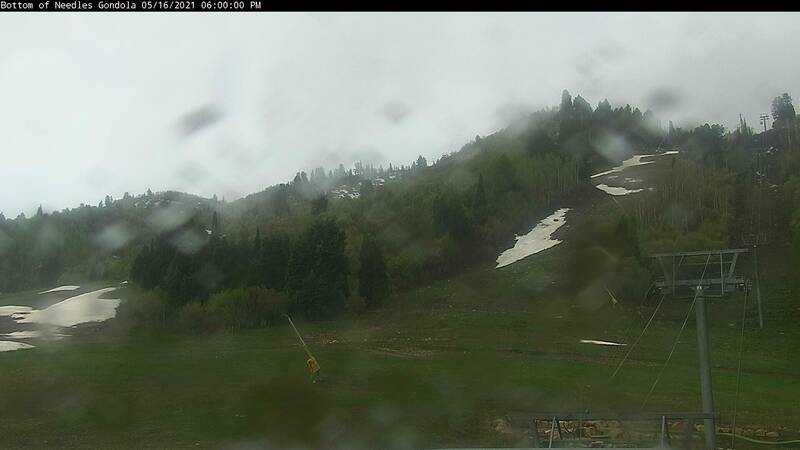 If you want to experience the upper mountain but also want to keep it short and simple, check out the .5 mile Cirque Loop beginning at the top of the Needles Gondola. 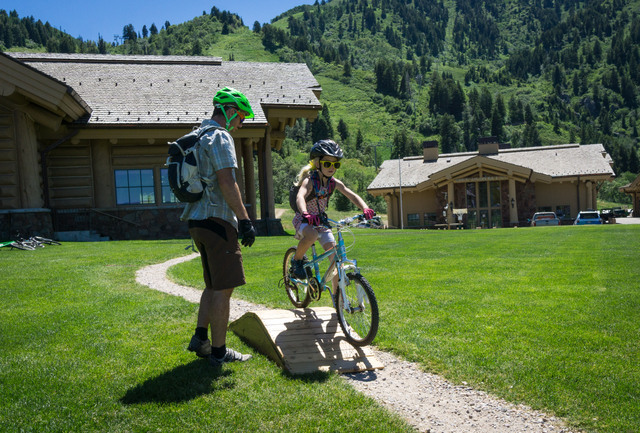 If you want to learn alongside your family, and don’t feel comfortable tackling the trails alone, check out Snowbasin’s biking clinics. 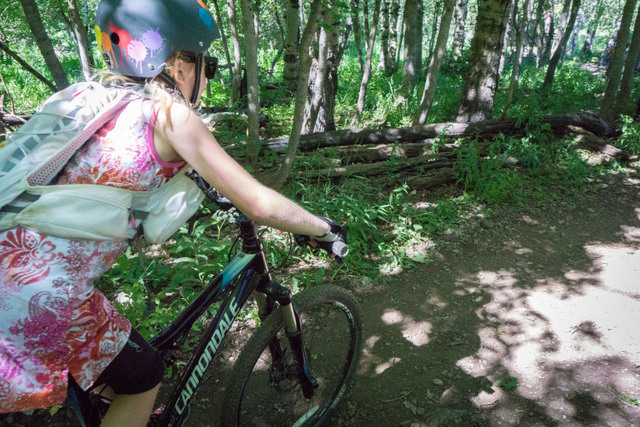 We did it last summer and you can read about our experience here: Learning to Mountain Bike at Snowbasin. Learn trail etiquette, how to navigate rocks and roots, and improve your ability to climb hills.